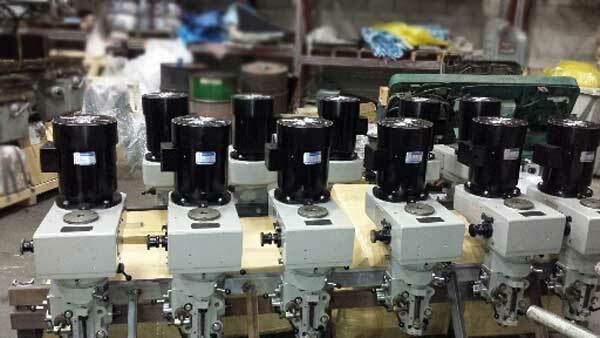 Replacement heads for Bridgeport, Topwell, First, Kent, Supermax and most Taiwan made Bridgeport clones. If the T-sot in the ram on your machine has a 6" diameter, these should fit. A complete system. 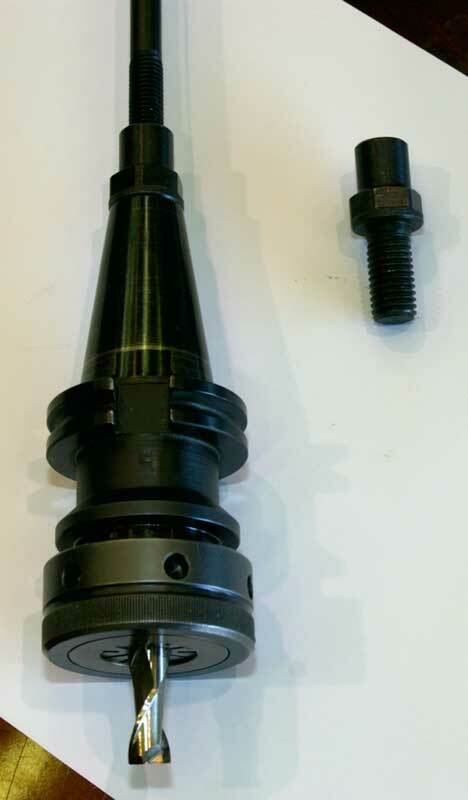 The replacement head will bolt directly onto Bridgeport and all Taiwanese Bridgeport clone rams we have seen. Mount the electronics cabinet on the side or back of the column and connect your power supply. The head is fully wired and ready to go. The back geared heads are most popular because they deliver much more torque at low rpm. Top speed is 6,000 RPM. 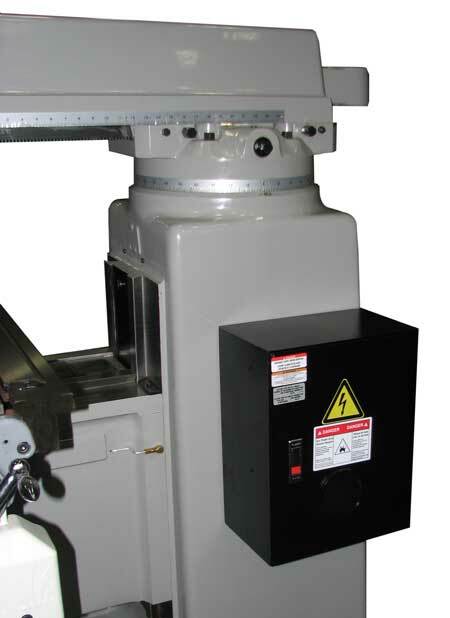 Use CAT-V-40, BT-40 or NMTBA-40 tools on a Bridgeport format head with increased spindle rigidity. 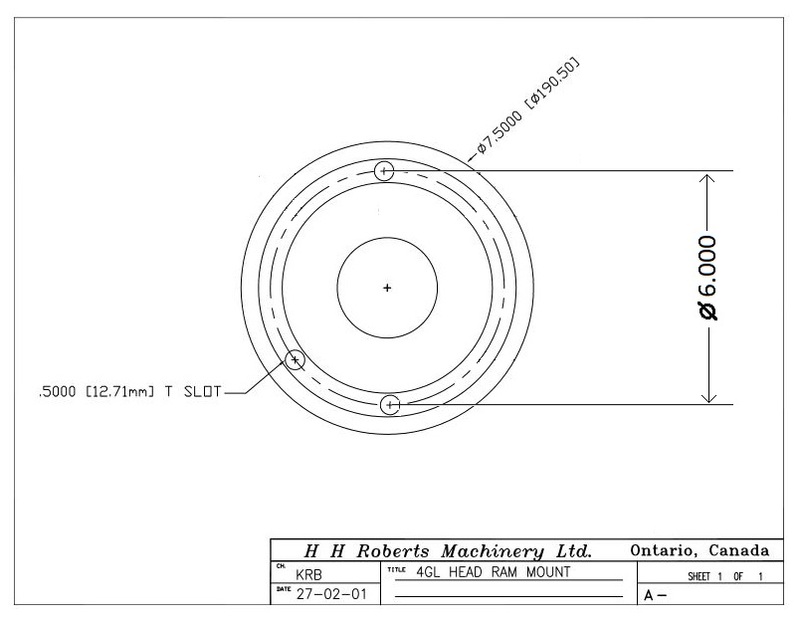 The optional #40 spindle has 3 high prescison P4 spindle bearings at the bottom for extra rigidity. See pictures and explanation below. These heads are ideal for upgrading quill type CNC machines because they can be controlled by most CNCs. We use the same vector drives on our CNC mills and machining centres They can be configured for CNC control of spindle speeds. E stop buttons are now standard as shown on the picture. Click here to download the heads catalog. All connections to the head are done. 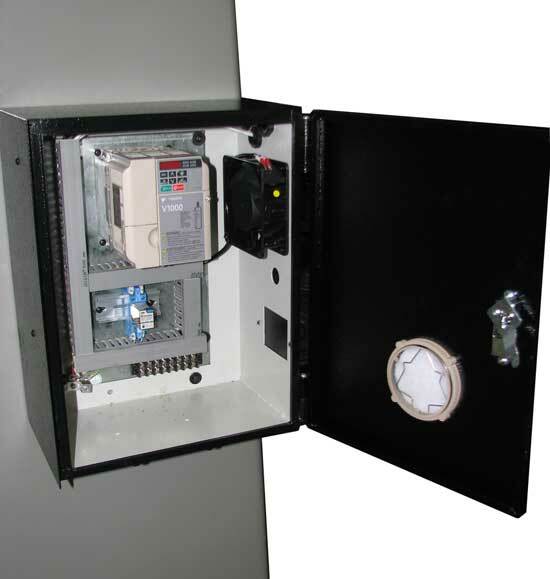 You just need to mount the head on the side or back of the column and have you electrician bring power into the cabinet. 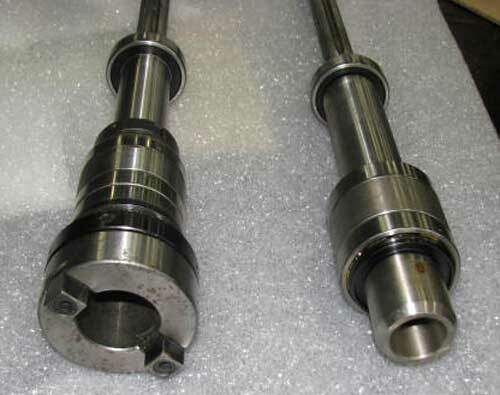 R-8 spindle. # 30, # 40 and Erickson spindles are available. Shown at left is a head with #40 Cat CNC tooling and with the optional power draw bar. The upgraded #40 spindle has 3 sets of 7008 P4 precision spindle bearings whereas most Bridgeport R-8 type spindles have only 2 sets of 7207 P4 bearings. Available for 220/1/60, as well as 208, 230 and 460 three phasepower supplies. 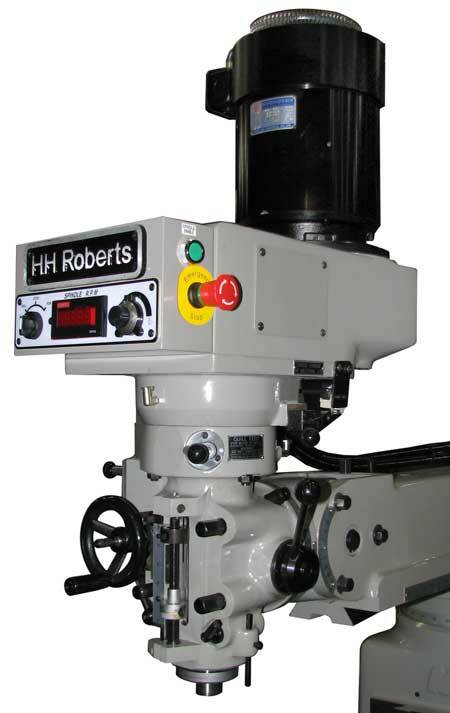 This is the 5 to 7-1/2 Hp head suitable for fitting to our Topwel, some Hurco, Webb and Kent machines. It is pictured with an Amercian made Hi-Torque power draw bar. 4) The spindle itself ( not shown ) There are about 85 fewer moving parts. Maintenance is near zero and is normally only a replacement of the timing belt after years of service. The RG verson of the head has a back gear pair. This presents an interesting dilema for a machine tool builde. 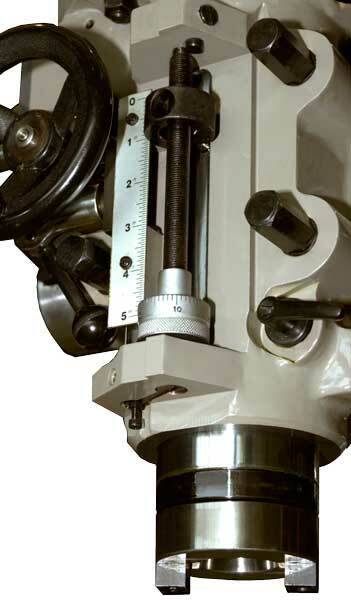 An R-8 spindle has a hole through it to take the 7/16" diameter drawbar. A #40 drawbar is 5/8". If you bore out the spindle to get the 5/8" drawbar through it you get very thin walls left and rigidity is seriously compromised .... when half the reason for wanting #40 is to gain rigidity. centre pull stud that accepts the 7/16" drawbar at the top and a Cat-V-40 tool thread on the bottom. This leaves the full wall thickness of the spindle. The adaptor can be seen on the right in the photo below. 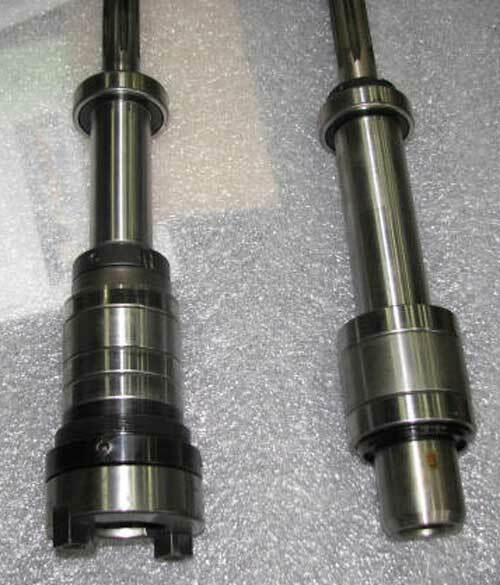 On the left is a drawbar, adaptor and a Cat-V-40 CNC collet chuck on the left. The special draw bar is available with a hex top for manual tightening or splined for a power draw bar. Then Topwell fits 3 sets of 7008 high precision P4 bearing at the bottom of the spindle to improve cutting performance. All R8 spindes that we know of have only 2 sets of high precision bearings. bottom or the R-8 spindle and a set of 3 precision bearings on the #40 spindle. Both spindles have a standard bearing up at the top. A shipment of milling heads received into our shop for preparation to sell.